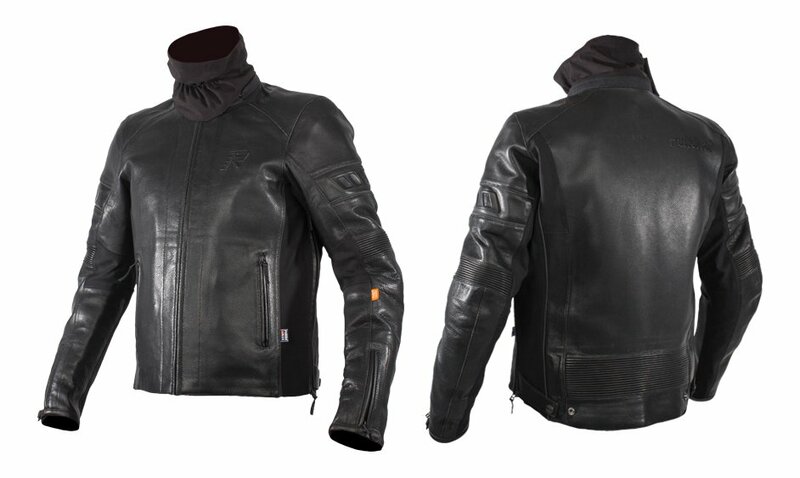 Many years ago, Rukka produced a leather suit with a waterproof membrane that was laminated to the leather outer. It was called the Merlin. It was perhaps ahead of its time, but it was created in an attempt to address one of the key weaknesses of leather garments: their propensity to absorb water and moisture. There is, one cannot doubt, a case for riding in leather. Leather is naturally abrasion resistant. Okay, some of the modern jean fibres are technically stronger but, in a sliding scenario, a leather pant will fare somewhat better than your average textile pant. But you cannot really wear leather when it rains. The material will absorb water. It will make the garment heavy, and the wearer cold. It just isn’t a nice way to ride. Some people have equipped their leather jackets with waterproof drop liners, but this doesn’t solve the issue because the leather will still absorb the rain, even though, for a period, the rider might still stay dry. When Rukka made the Merlin, they tried to address this issue by adding a laminated membrane to both the jacket and trouser. In theory, this meant that the garments would never ‘wet out’. They might get damp, but they would not get sodden with water. And it worked. The Merlin had its devotees. But the technology was not as advanced as it is today, and the jacket was not only heavy and quite uncomfortable to wear, it was also insanely expensive. It cost more than many bikes, and after a while the UK importer decided that it was simply too expensive for this market. But, after years of testing, Rukka is back with a leather suit that they reckon is not only totally waterproof, but also both wearable and affordable Although, it’s still probably not affordable by all! The Coriace jacket is constructed from a fully perforated, aniline leather. Laminated to the inside of the leather there’s a waterproof and windproof membrane, as well as a third protective layer. As with other Rukka laminated jackets, the venting comes from full-length vents that run up the flanks from the hem to the armpit. These vents are protected with waterproof zips. For comfort, elasticated panels run up the sides of the jacket, in the crook of the elbow, under the armpit and in parts of the back. You also get accordion leather stretch panels above the elbow and in the back. All this is designed to add comfort to the Coriace; always a weak point on the Merlin. A laminated garment, even a textile laminated garment, is often somewhat stiff; a result of the bonding of several materials together. But when you bond a membrane and protective layer to thick leather, the result can be less than comfortable. And let us be clear; the Coriace is still not the softest, most pliable and luxurious-feeling leather jacket we have come across. We wouldn’t expect it to be, but it is more than wearable. And it feels a hundred years more advanced than the old Merlin. The question that really begs to be answered is whether the Coriace works as a waterproof garment. Well, the truth is that we don’t know. We haven’t been able to test it. But Rukka has done. These guys are the experts in waterproofing, and our view is that they are unlikely to release a suit like this into the market that does not work. 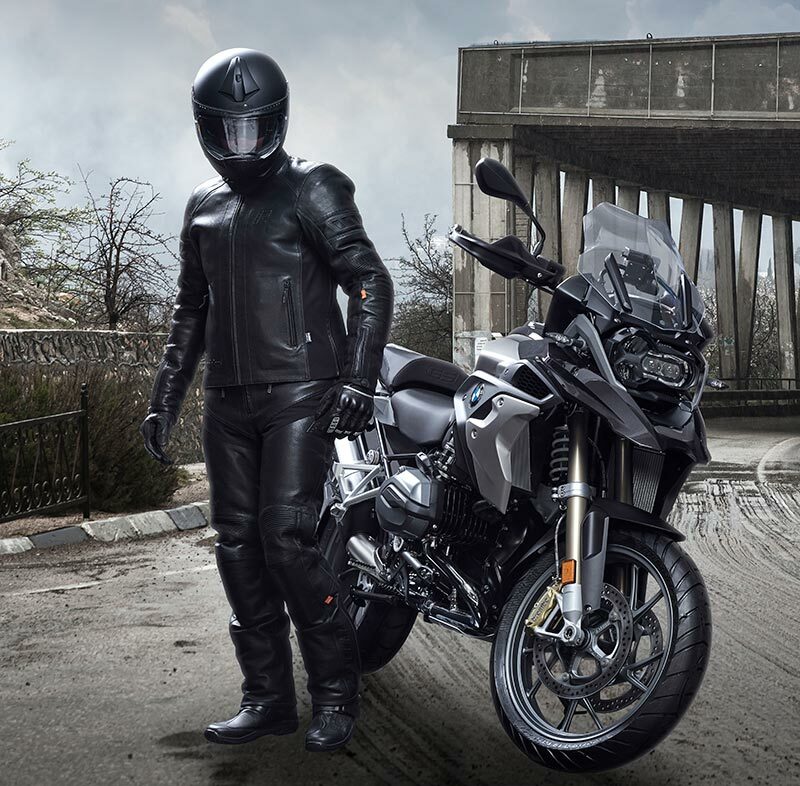 And certainly Rukka is backing the suit with its standard warranty; that is two years, extendable to six years on registration. Other features on the jacket are pretty much as you would expect from Rukka. You get soft Neoprene in the collar, a removable, waterproof, neck warmer, adjusters at the hem and sleeves, and a zip to connect the jacket to the trousers. There are two external waterproof pockets and one on the inside. 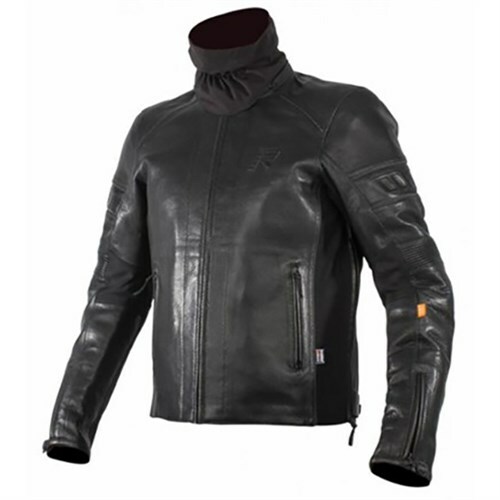 For winter riding there’s a detachable 60 gramme, thermal inner jacket. As far as armour is concerned, it is of course supplied by D30. It comes in the elbows, shoulders and back. The matching Coriace trousers are, in terms of materials and construction, the same as the jacket. You get elasticated panels in the crotch and at the back of the knees. 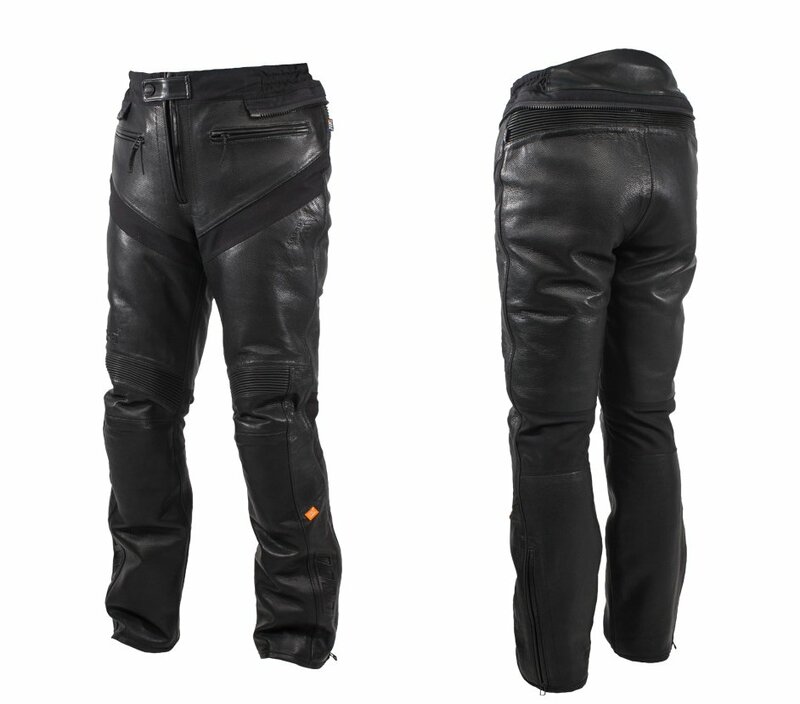 There are leather stretch panels above the knees and below the connecting zipper at the rear. The waist adjusts by means of press studs. The 60 gramme thermal liner can, of course, be removed. 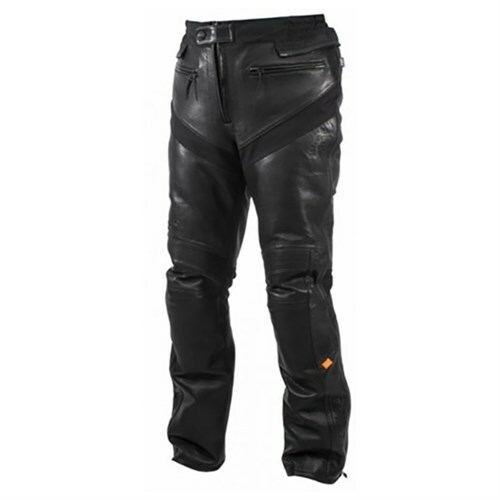 Braces are not supplied as standard, although we would always recommend that they be worn with a leather pant like this, because if you’re not zipped in there’s a danger that the trousers will fall down. So, there we have it. 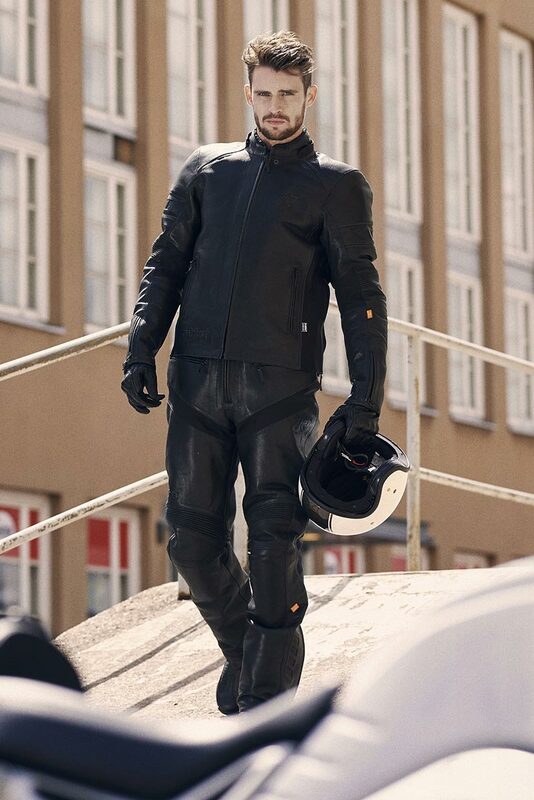 A high-quality, three-layer laminated, leather suit from a maker with an unparalleled reputation for waterproofing and manufacturing quality. Nevertheless, one has to accept that adding a laminated membrane to a leather suit does not make this the perfect solution for riding in all conditions. In the rain, the Coriace suit is going to perform far better than any leather suit that has gone before. But leather does not represent the best starting point, so we would not expect the Coriace to be as comfortable in heavy rain as, say, the company’s Nivala. And it won’t perform as well as even an average drop-liner suit in the cold. Yes, the Coriace has a bonded, windproof membrane. And yes, it comes with a 60 gramme thermal liner. But with a laminated garment you don’t get the air gaps that are an essential part of keeping warm on a bike. And in truth, the 60 gramme thermal lining is little more than average. This, therefore, is not the perfect suit for winter riding. And finally, because the Coriace is leather, and because it has a bonded membrane behind the leather, it is not going to breath particularly well. This is not a suit you will want to wear when it’s properly hot. 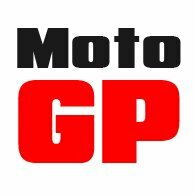 It wouldn’t be our first choice for riding across the deserts of Utah or Nevada, for example. None of which is to detract from the outstanding capabilities of this amazing outfit. It is truly a sophisticated bit of kit. The safety of leather, the best D30 armour, a high degree of comfort, total waterproofing, venting and thermal insulation. It represents an amazing accomplishment; the kind of accomplishment that could probably only be achieved by Rukka. 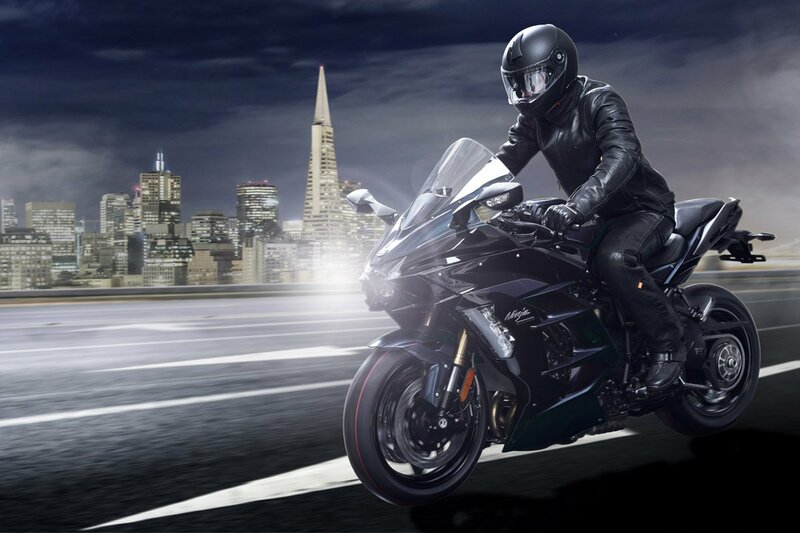 If you really want to ride in leather, there’s never been a better suit on the market. For many riders, much of the time, this might just be the perfect garment. And if safety is your key priority, it almost certainly is. It is not the perfect, do-anything, go-anywhere suit. But, for what it does, it’s the best. Come and see us, and try it on. Click Rukka Coriace to shop the Rukka Coriace.